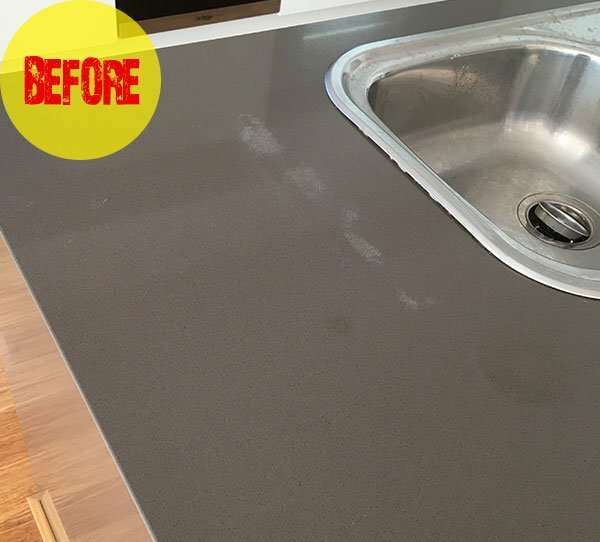 Remove stains caesarstone benchtops can be difficult if the right cleaners are not used. 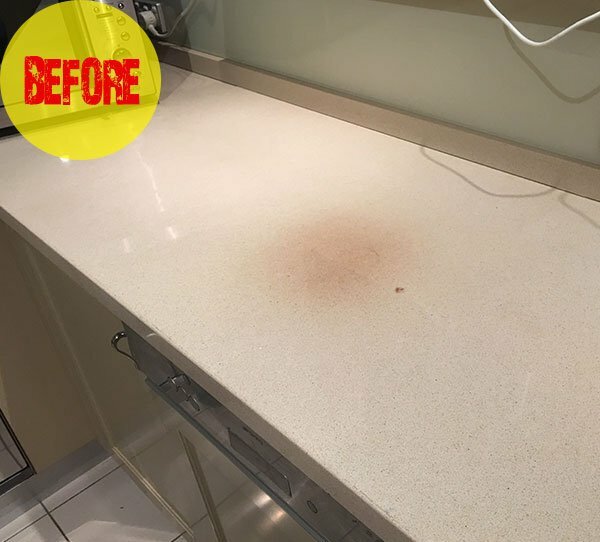 Consequently to remove stains caesarstone benchtops using the wrong cleaners or methods will damage the shine. 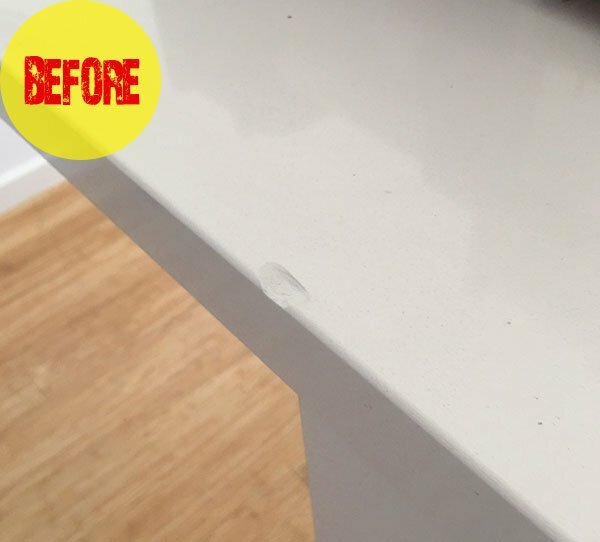 Resulting in permanent damage requiring one of our technicians to repair. 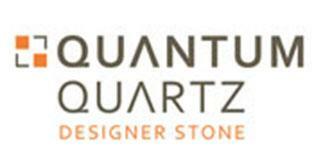 Common Myth that engineered stone has a sealer or a coating is totally incorrect! 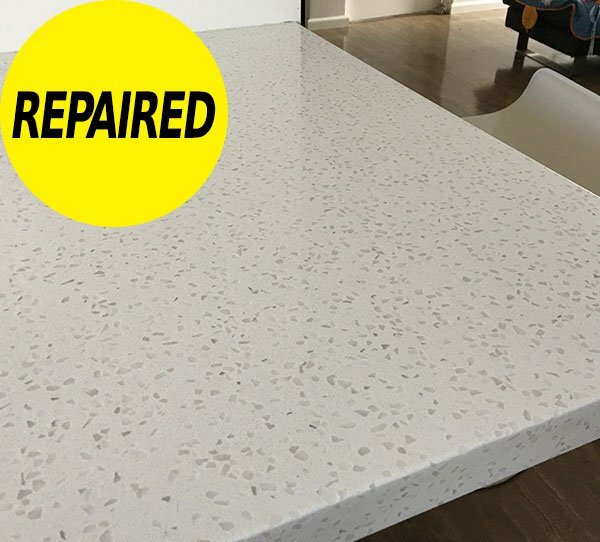 As a result any brand of engineered stone benchtop repair /s including Caesarstone repairs is finished by the factory to achieve the gloss finish by special inline polishing machines. 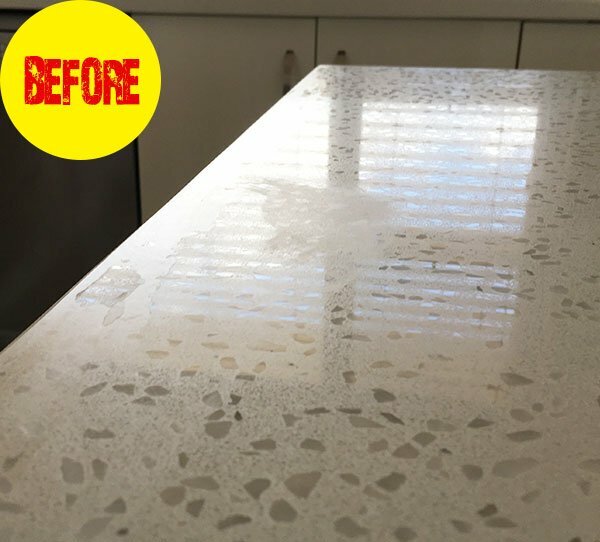 For example if you use a scouring pad or an abrasive cream cleaner on black glass you will cause the same shadowing damage as your modern stone benchtop. 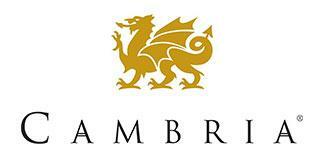 Exactly the same with chemicals that cause the white spots including bleach, oven cleaner and drain cleaners. 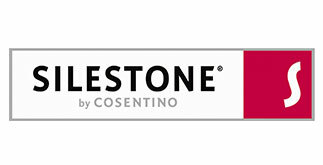 Because engineered stone benchtops or Caesarstone benchtops as most people now refer to stone benchtop as. 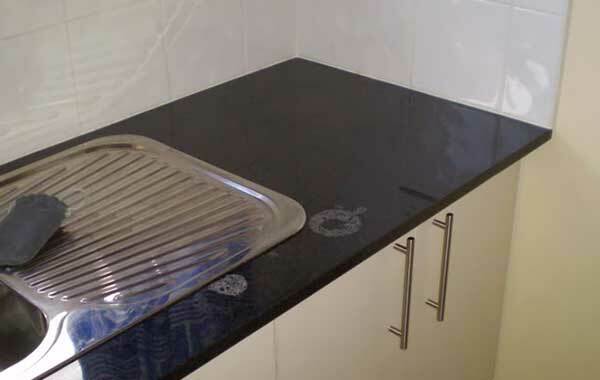 Due to the higher gloss and finish of the stone benchtop giving it is lustre. 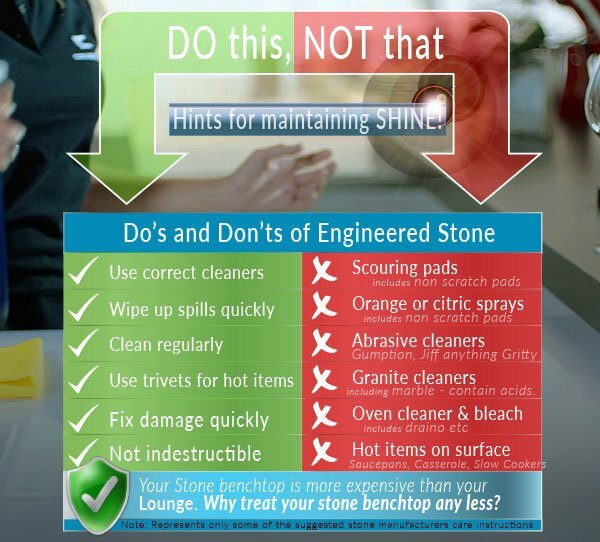 Hence make them prone to damage from high heat, corrosive chemicals contained in many goto stone benchtop cleaners. 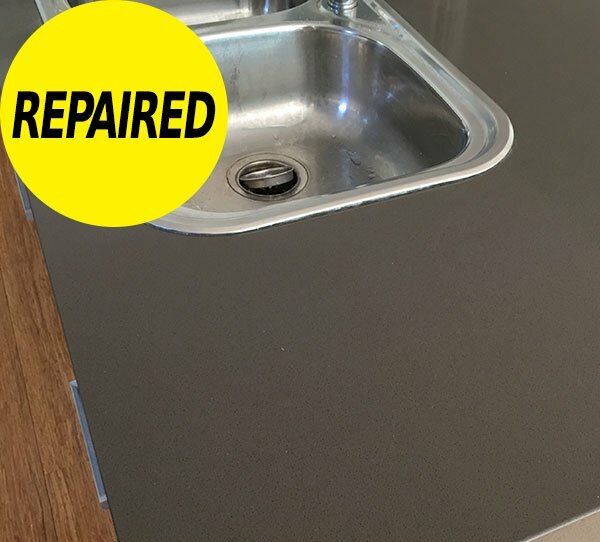 Due to the why modern stone benchtops have low water absorption and the unique finish to the surface are the reasons it is extremely difficult to repair. 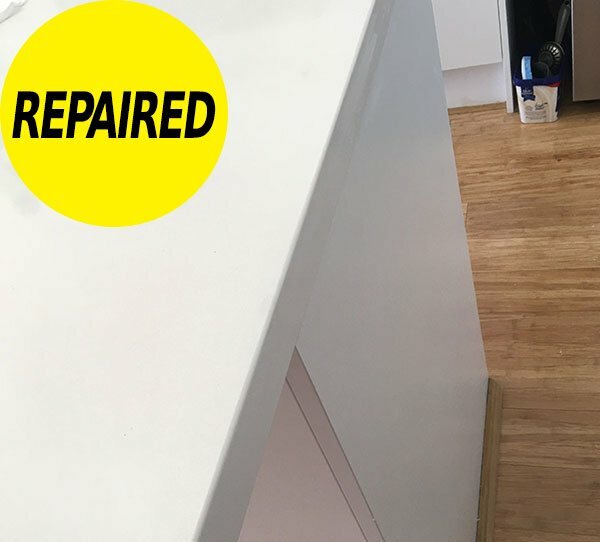 Tradition repair or restoration techniques JUST DO NOT WORK! 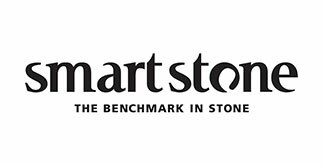 Years of perfecting the techniques and products need to return the modern stone benchtops to their former glory. 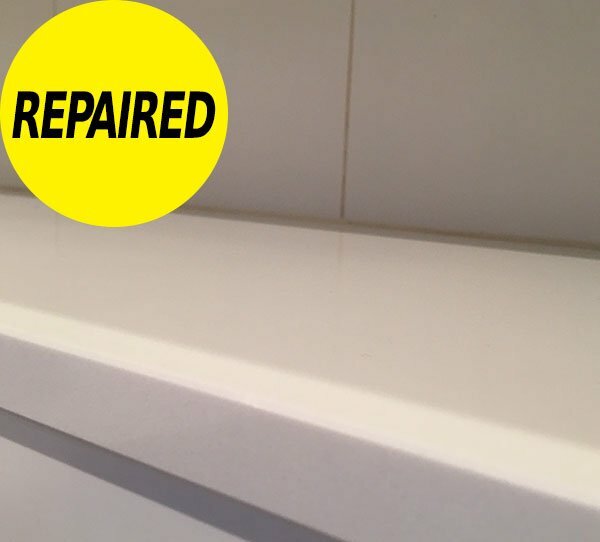 We offer Stone Benchtop repair in Brisbane, Sydney, Melbourne, Canberra, Perth and across Australia. 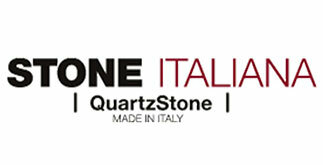 A range of professional repairs to all brands and types of stone benchtops. 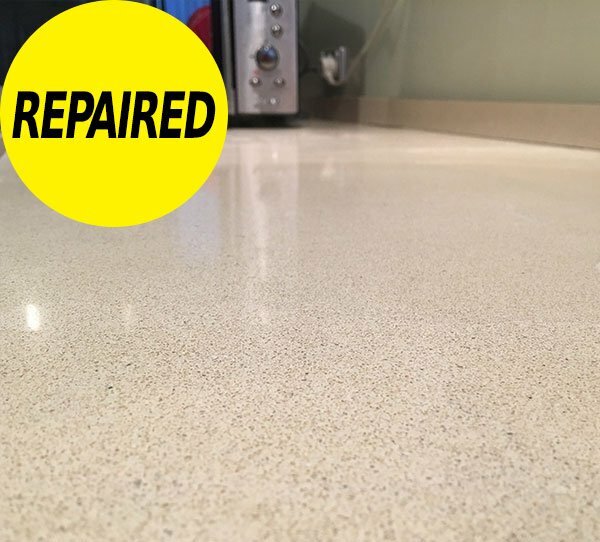 We pride ourselves on stone benchtop repair /s and Caesarstone repairs that are near perfection. 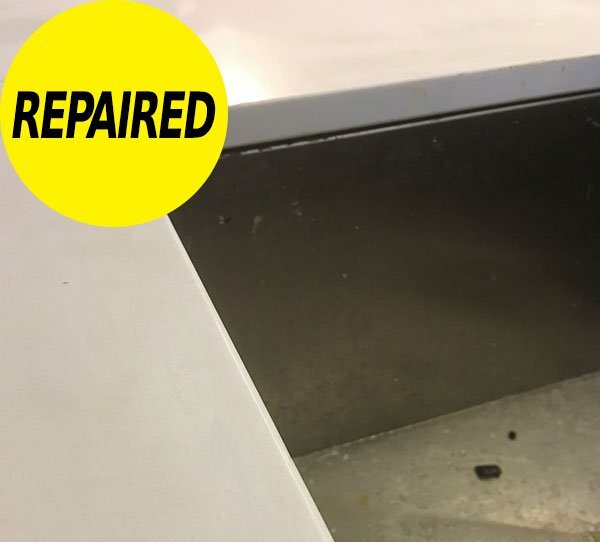 Rarely visible to our technicians. 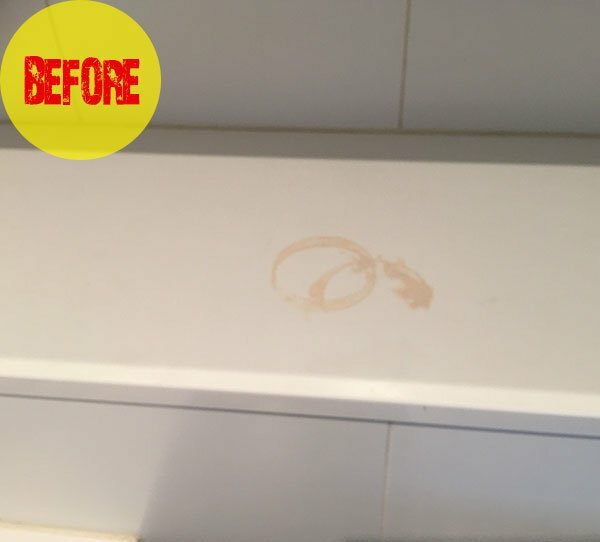 Stone benchtops deserve the same level of care as your leather lounge does after all it costs 3x more. 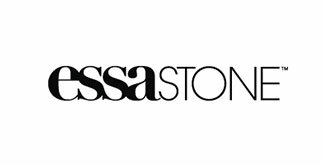 To remove stains caesarstone benchtops we recommend only use especially designed and made cleaners for engineered, quartz or man made stone. 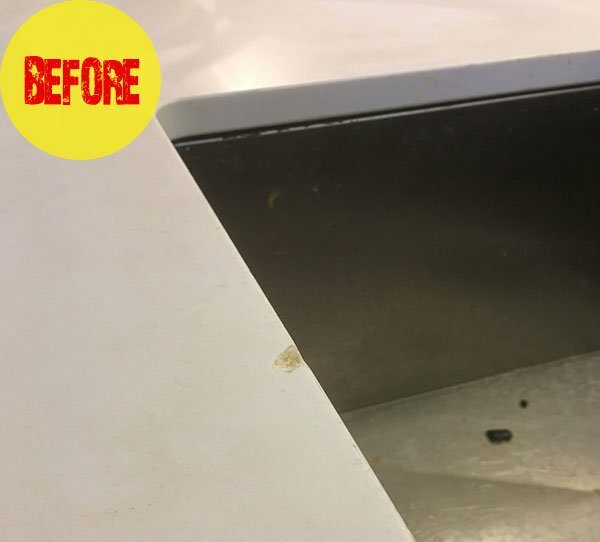 “Yes” you can get stone benchtop cleaner but most have the chemicals in the product that will do damage to your engineered stone benchtops. 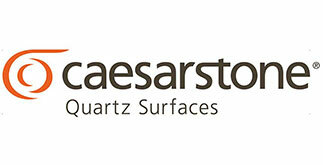 Especially made and designed products to remove stains caesarstone benchtops do it without damaging the finish. 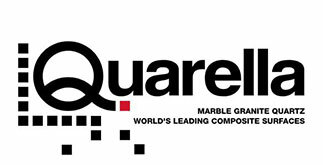 Also they do it with ease as they are designed to work on engineered stone benchtops.